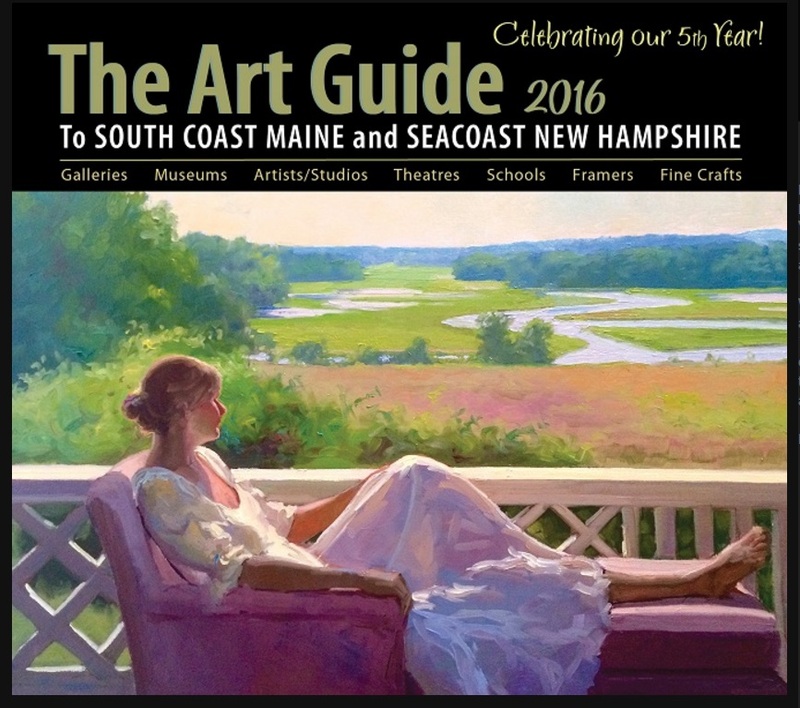 The Southern Maine Art Guide is an annual publication dedicated to promoting the artists, galleries and museums of South Coast Maine and Seacoast New Hampshire. More info about the Art Guide here. For the past two issues, it has been my pleasure to write stories that highlight the exceptional collections and initiatives of museums in this area. Painting in Verbs: Maine Literary and Artistic Traditions (2016): Exploring the friendships and interconnected creative work of artists and authors like Abbott Fuller Graves, Marsden Hartley, Childe Hassam, Ernest Hemingway, Charles Frederick Moody, Sarah Orne Jewett, Henry Strater, Celia Thaxter, and Booth Tarkington, Kate Douglas Wiggin, William Carlos Williams, and Charles and Marcia Woodbury. Featured museums: Sarah Orne Jewett House Museum, Celia Thaxter Museum (Star Island), Portsmouth Athenaeum, Ogunquit Museum of American Art, Brick Store Museum, and Dyer Library/Saco Museum. Maine and Photography–Inextricably Linked (2015): It was my privilege in 2015 to serve as the Coordinator for the Maine Photo Project. The article I wrote that year for the art guide featured exhibitions at the Ogunquit Museum of American Art, the Brick Store Museum, the Sarah Orne Jewett House Museum (a Historic New England property), the Museums of Old York, and the Barn Gallery.